Race your way through different courses and assure your victory alongside Mario and the gang in this arcade racing game – Mario Kart DS! 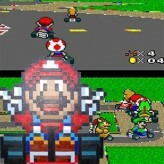 Mario Kart DS is an arcade racing game for the NDS released in 2005 for the NDS. 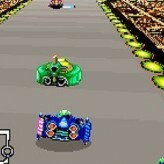 The game features various racing maps along the 12 playable characters where four of them can be unlocked when you win different trophies. Win through 16 different courses in various game modes such as the Grand Prix, time trial mode, versus mode, balloon mode, shine runners mode, mission mode and the battle mode! Reach your way to the finish line and delay your opponent by using different powerups that you can pick up on the course against them! Ride on! Enjoy! 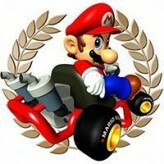 Mario Kart DS is an online NDS game that you can play at Emulator Online. This free Nintendo DS game is the United States of America region version for the USA. 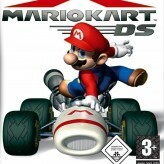 Mario Kart DS is a single title from the many racing games, driving games and mario games offered for this console. 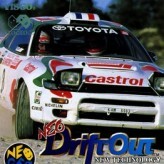 If you enjoyed playing this, then you can find similar games in the nds games category. Mario Kart DS game is from the various retro games on the site, and there are more games like this, including Super Mario 64, Mario Kart 64 and Super Mario 64 DS.